Flappy Bird was an incredibly frustrating game that you couldn’t stop playing. 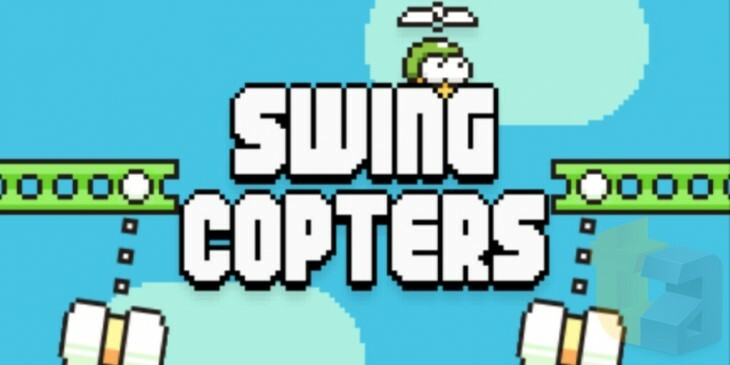 After pulling Flappy Bird in February, developer Dong Nguyen is back with Swing Copters, and it is poised to destroy your sanity. UPDATE: Swing Copters is now live on both the App Store and Google Play. Touch Arcade was able to get its hands on Swing Copters and from the looks of its gameplay video, it’s tougher than Flappy Bird. The new game’s protagonist is a guy with a helicopter helmet. You navigate our hero by tapping on the screen. With each tap he moves left or right but is always moving up through increasingly difficult-to-maneuver ledges with hammers swinging back and forth. So it’s vertical Flappy Bird with hammers flying at your face. Swing Copters is available for free with ads and for $0.99 if you want to get rid of all banner ads.